We work with you every step of the way: developing and advising on an artwork concept, selecting and commissioning art, procurement, framing and installation. 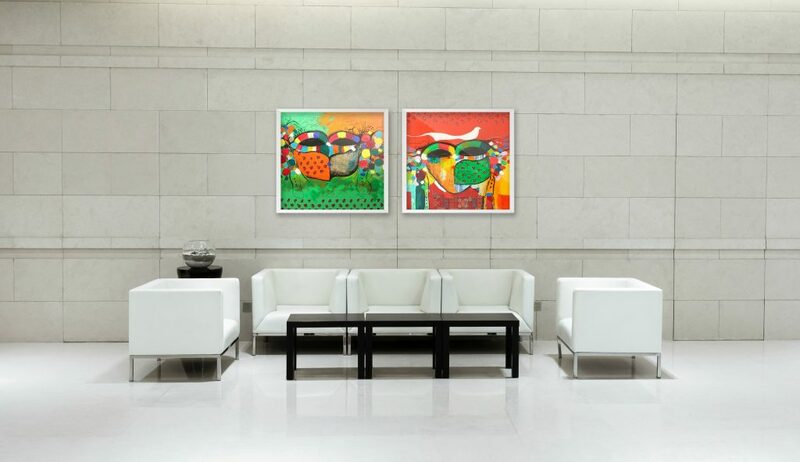 Be it specially commissioned bespoke art, or investment paintings, we acquire the perfect piece, which is not only a valuable investment for the client’s portfolio, but also works in harmony within an interior design concept. We source artworks from Emirati and international artists, from both emerging artists and established global masters. Primarily, a private collection is to be enjoyed and to enrich the life of the collector. One-of-a-kind art pieces are also an excellent investment. Additionally, a considered collection protects and progresses the artistic and cultural heritage of a nation. Our professional all-round service ensures complete protection of valuable artwork. We provide all essential documentation, arrange storage, shipping and insurance, as well as fully assisting in framing selection and safeguarding installation. For the pieces in your collection, we also keep track of relative performance in international auction houses, so that you will be aware of the current estimated value of your investments. Hotels need to stand out from the crowd as both business travellers and tourists have increasingly higher and sophisticated demands for their accommodation. Unique artwork that adorns the walls of a hotel creates an ambience that goes above and beyond ordinary hotel decoration, which results in a pleasurable atmosphere for guests. Etihad Modern Art Gallery has a wealth of international artists that can supply a broad spectrum of impressive art pieces that will augment and elevate an existing design concept. Wealthy and discerning hotel guests are increasingly knowledgable and critical regarding contemporary art. The ideal situation is to complement interior design with imaginative, eye-catching and memorable art, so much so, that hotel customers enquire as to ‘who is the artist?’. Then a hotelier can rest assured that their investment in quality art has paid off and fulfilled its primary role of creating an enhanced guest experience. The EMAG specialist has worked hand-in-hand with new-build hotels, prior to opening, to supply hundreds of pieces of art that elevate an ‘off-plan’ concept that ensured a magnificent grand opening. Corporate collections are well-known to be excellent long-term investments, regardless of global economic conditions. A corporation’s brand image will receive a great boost when acknowledged with the high-status of art connoisseur. Furthermore, a valuable and respected art collection provides fantastic and numerous opportunities for positive publicity and marketing in all forms of media, adding a cultural and human aspect to the company’s image. A visible collection in the workplace can also be the winning factor to attracting highly sought after employees. Our specialists will undertake rigorous art market research and analyse the best possible asset to further your investments. This is an essential part of our advisory service which aims to create, establish and then refine a corporation’s collection. We offer prudent advice for purchases and sales of art for auctions and private sales alike. EMAG will handle all attributes of due diligence, provenance and authentication so that a corporation can be assured of the legality of their artwork. 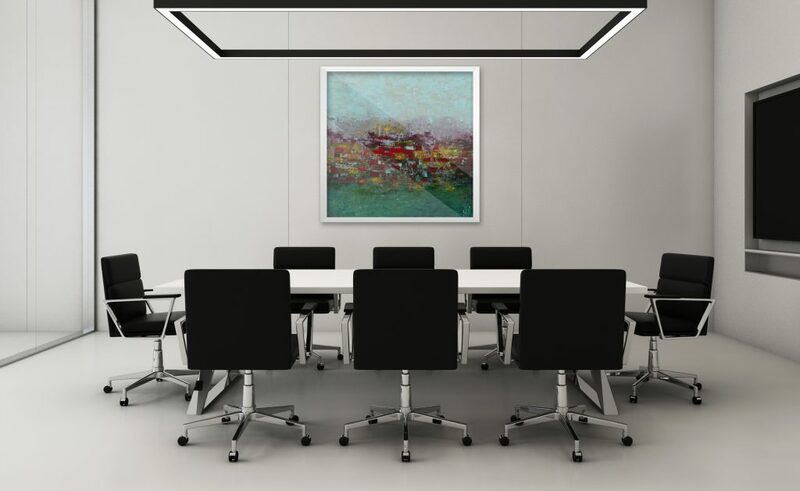 Needless to say that we will also take care of all the small details such as framing, hanging, lighting, storage, insurance, so that investment art can simply be enjoyed without any of the hassle of the minutia.